So, The Hazz is out of town at the Cantor's Convention this week. I'm all alone (boo hoo), and I've managed to slightly mess up my back (most likely picking up a toddler... not even an impressive injury). So, as I type this, I'm horizontal on the couch. 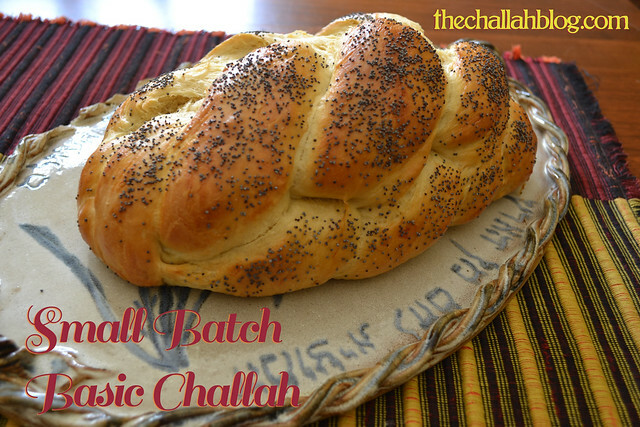 Okay, pity party over, I still felt like making a practice challah. AND OMG ROFL WTF BBQ IT. IS. AMAZING. We had 3 overripe bananas in the house, so I picked up some chocolate chips and here goes! I didn't end up needing all three bananas, so I threw in a few banana chocolate chip muffins for good measure. (Don't worry... I'm putting the muffins and one of the challot in the freezer... otherwise The Hazz will come back from Canada and I'll be enormous). Proof the yeast in the hot water with the honey. Using a wooden spoon, mix in the oil, 1 egg, and banana. 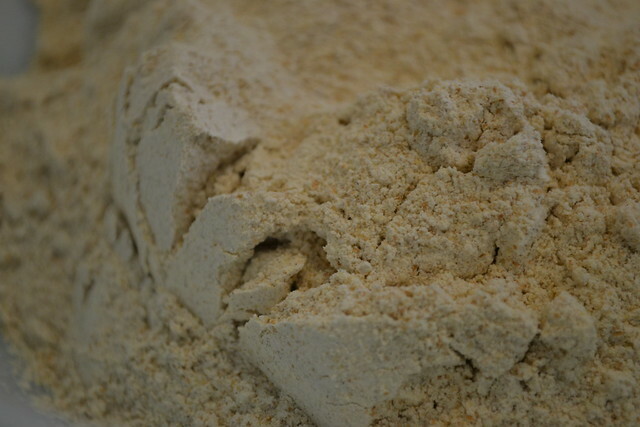 Using a stand mixer (especially if your back is sore like mine) mix in the first 3 cups of flour, adding in the fourth cup as much as necessary. Let rise about 2 hours or until nearly doubled in size. 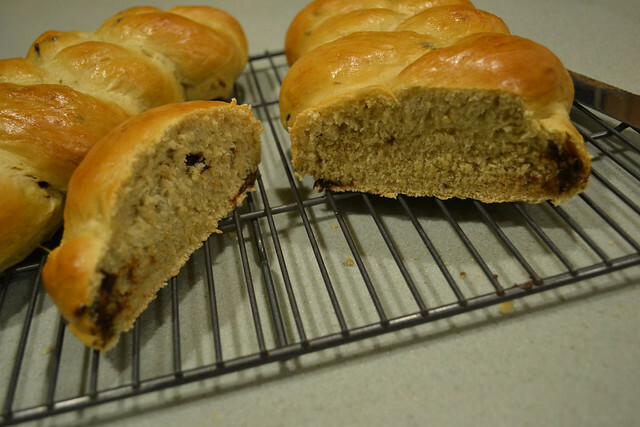 Punch out the air bubbles and knead in the chocolate chips. 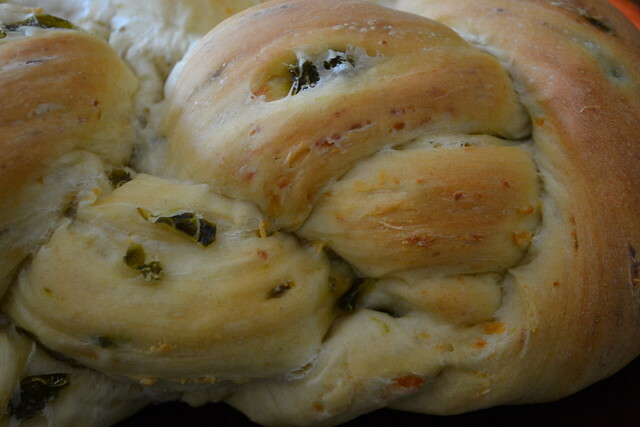 It's a somewhat sticky dough, so I opted for a three-strand braid. Let rise again an additional 30 minutes. Top with egg wash. Bake at 350 for about 30 minutes or until the internal temperature reaches 180 degrees. 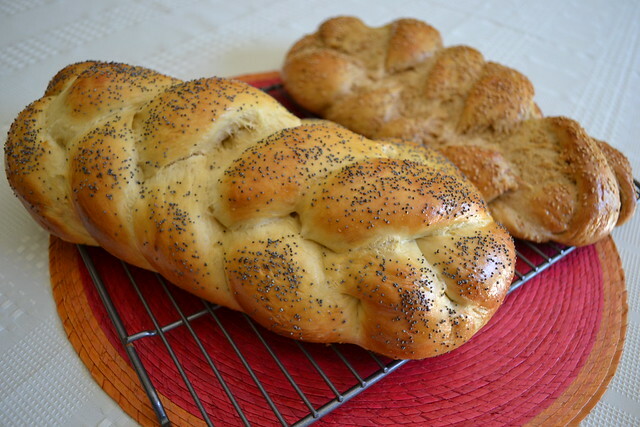 Today, we tried a regular challah and a spelt challah. The more I read about spelt, the more I'm fascinated by it. It's actually mentioned in the Bible (Exodus 9:30, Isaiah 28:25, and Ezekiel 4:9) and is a very, very ancient grain. That said, boy I found it really hard to work with! 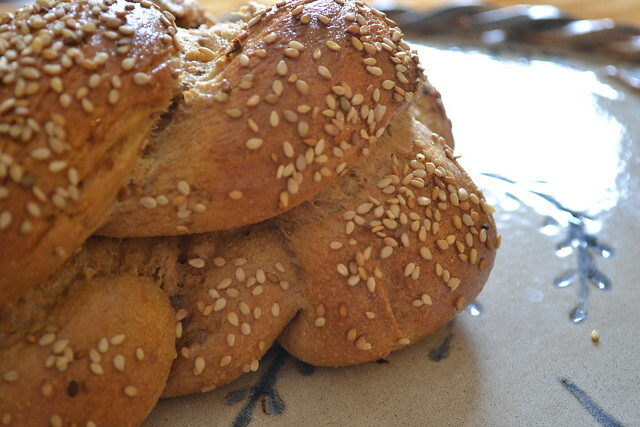 I had read online that since spelt lacks the elasticity of wheat flour (something about the proteins breaking down... I think...? 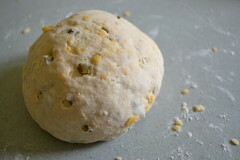 ), not to knead it very much and to cut down the water used. 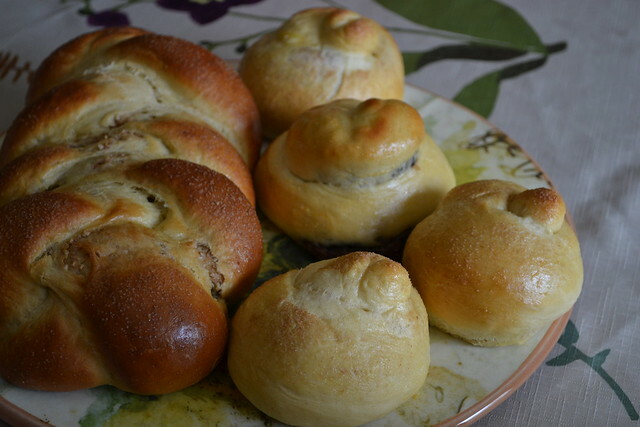 I did both of these things, but my dough was almost polenta and certainly not elastic or stretchy at all. SUPER DENSE. Here's what I did. Proof yeast in hot water with honey. Add oil and eggs. 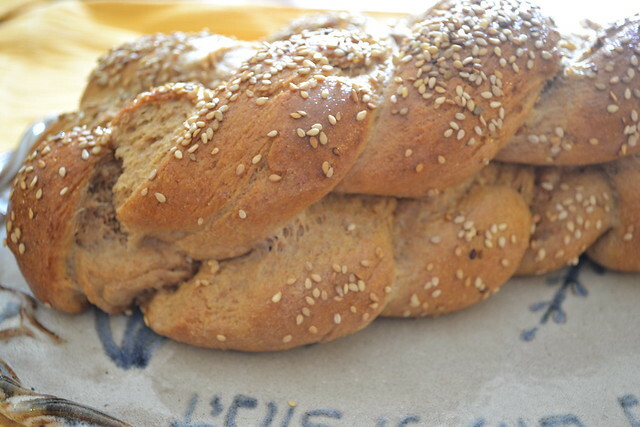 Mix in spelt with spatula and knead by hand, adding more spelt if super sticky. I basically just kneaded until combined and then gave it a few good turns. While I usually use my Kitchen Aid, most of what I read said not to, so I kneaded everything by hand. 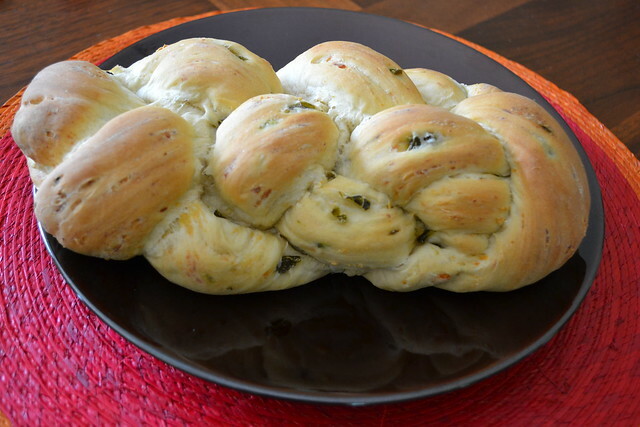 Let rise LESS TIME than you would regular dough. I let it rise about two hours, until it had gotten larger, but not really doubled yet. This is where mine got weird. While I trust not to let it rise very much, my dough had no elasticity. Braid in your desired style. Let rise an additional 30 minutes. Bake 30-35 minutes (it was longer than wheat dough) at 350. The verdict. We like it. 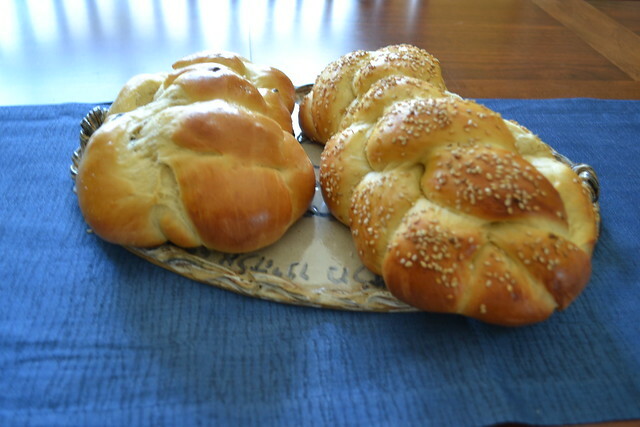 I made a couple rolls so that we could sample it before Shabbat (shhh...). 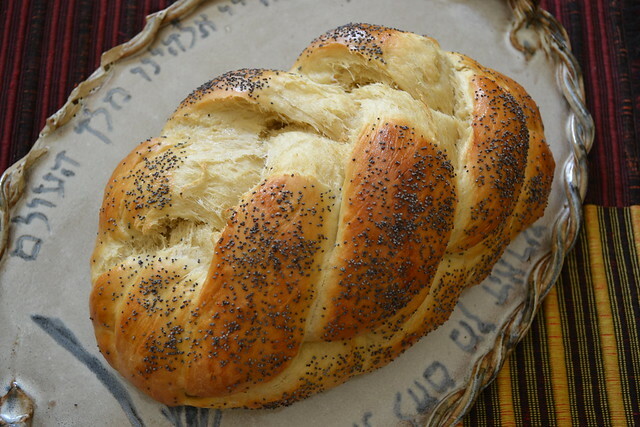 It's definitely a little flakier that regular dough, but we really don't like all whole wheat challah. I think this would be a good substitute. So, I give it an A-. Weird to work with, but it's got a lovely nutty flavor. 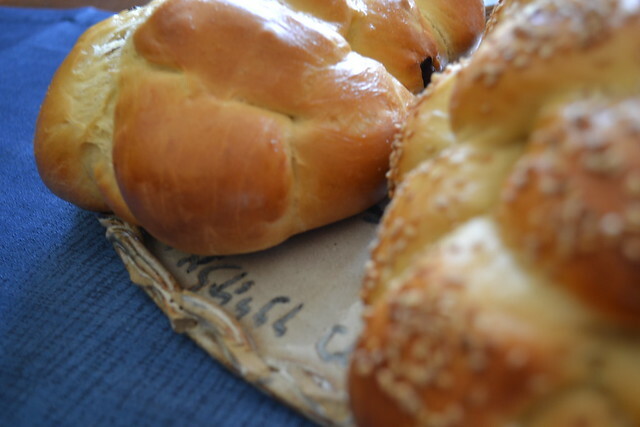 Chocolate Chip Challah (and the macro zoom and focus on my camera) is one of my most favorite things. I've found that you can really achieve this sucessfully in several ways. 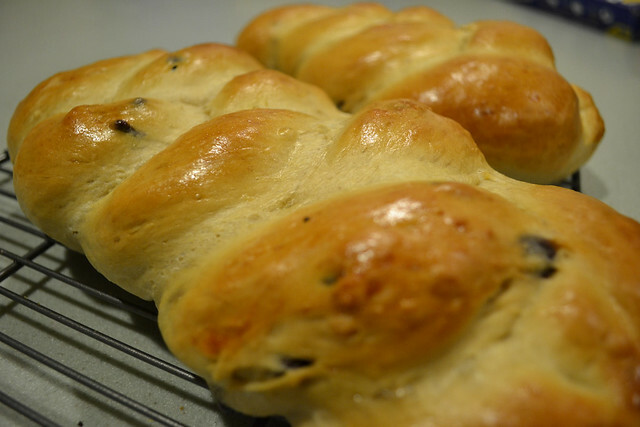 Either, you can knead the chocolate chips in pre-rise. 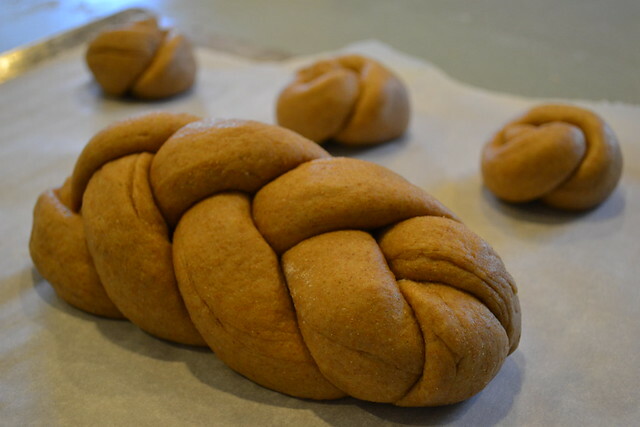 Or, you can knead them in at braiding, being careful not to overknead. I think I actually like the latter option better because the chocolate is almost completely infused into the bread, rather than poking out. It's a nice surprise!